The Hotel San Giorgio , 3 star hotel in Milano Marittima, is located in a quiet area between the beach and the pine grove, a stone's throw from the Anello del Pino. 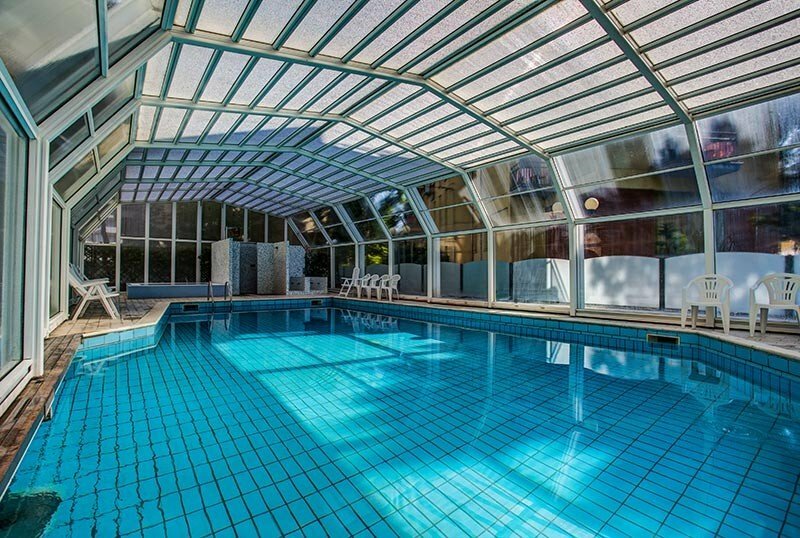 The structure has been recently renovated and is characterized by its welcoming wellness area and its heated pool with telescopic cover. Admits animals of small and medium size. The hotel is located in Milano Marittima, between the pine grove and the sea, within walking distance from the beach. The area is quiet and safe. Nearby are local restaurants, the horse club, the golf club and the theme park of Mirabilandia, reachable within a few minutes by car. Refurbished and comfortable, the rooms are all equipped with balcony, air conditioning, TV (24 '') sat and digital terrestrial, WI-FI, telephone, safe and private bathroom with hairdryer and shower, extractor fan and hairdryer. Garden, indoor pool, wellness area, reading room with newspapers in consultation, free use of bicycles. Theme nights are organized. PARKING: free, uncovered and available until places. PETS: accepts small and medium-sized pets at no additional cost. BREAKFAST: international buffet breakfast with fresh bread, brioches, butter, jam, cold cuts, eggs and cheeses. LUNCH AND DINNER: 3 or more choice menu with dishes of local cuisine and buffet of appetizers, vegetables and salads. Pasta and desserts are homemade. VARIATIONS: the menu includes vegetarian, vegan and celiac dishes. In the hotel: children's pool and babysitting service for a fee. In the room: cots for a fee. At meals: seats at the table, baby menu, homogenized. At the beach: live entertainment, nursery, equipped playground area. The hotel offers its guests a large and charming heated swimming pool with telescopic cover. Around there are sun beds, deck chairs and a hydromassage corner. They are available to guests: professional hot tub, turkish bath with aromatherapy and chromotherapy and Water Paradise path with tropical shower, cold mist and cold warm body massage. 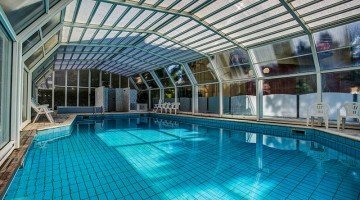 The hotel has an agreement with the Acquamarina Village bathing establishment with entertainment, nursery and playground areas for children, numerous sports fields, fitness area, spinning area, 2 hydromassages, WI-FI areas, 4 restaurants and satellite TV.